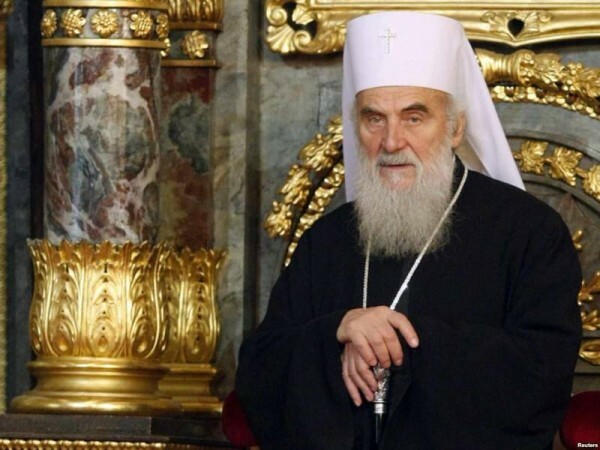 In his message to His Holiness Patriarch Kirill of Moscow and All Russia, the Primate of the Serbian Orthodox Church expresses concern for the new facts of violations of the human tights of the faithful of the Ukrainian Orthodox Church. Below is the text of the message. With profound concern and sincere distress we learn again and again about violations of the rights and discrimination of the faithful of the Ukrainian Orthodox Church in Ukraine. Special concern is caused by continued violent captures of Orthodox churches by local pseudo-Orthodox schismatics and radical nationalists. With compassion and prayer the Serbian Orthodox Church is following the development of the conflict in the Ptichya village in the Rovno Region, where our fellow faithful have become victims of pogroms and violence; where the Orthodox clergy are beaten up by unbridled fascist militants; where the weak elderly people and women have been locked up in their own church for several days now without water and food, even without being provided with the necessary medical aid. No less concern is also caused by the recent attempt to take away the Kiev Laura of the Caves from the canonical Church, as we have learnt from the press. The Kiev Laura of the Caves and the Pochayev Laura are great shrines for the whole Orthodox world, and we have learnt with indignation about the intention to hand them over to the schismatics who are not recognized by any of the Holy Orthodox Churches. By their fruit you will recognize them, says Holy Scriptures (Mt. 7:16). Evil can dress itself up in the clothes of faith, light and truth but its fruits – falsehood, division and hate of the neighbour – will invariably expose it. Schismatics from the so-called ‘Patriarchate of Kiev’ have long been renounced by Orthodox Churches and refer to Orthodoxy only by name. And their disdain for the norms of Christian morality and readiness to hate, to lie and to spill blood is living proof of it. We pray that the Lord may strengthen Your Beatitude and the Holy Ukrainian Orthodox Church in the feat of confessing Christ and give you strength to oppose the violence and hatred with love and patience in Christ! Patriarch Irinej of Serbia has also sent a message concerning the present situation to His Beatitude Metropolitan Onufry of Kiev and All Ukraine.